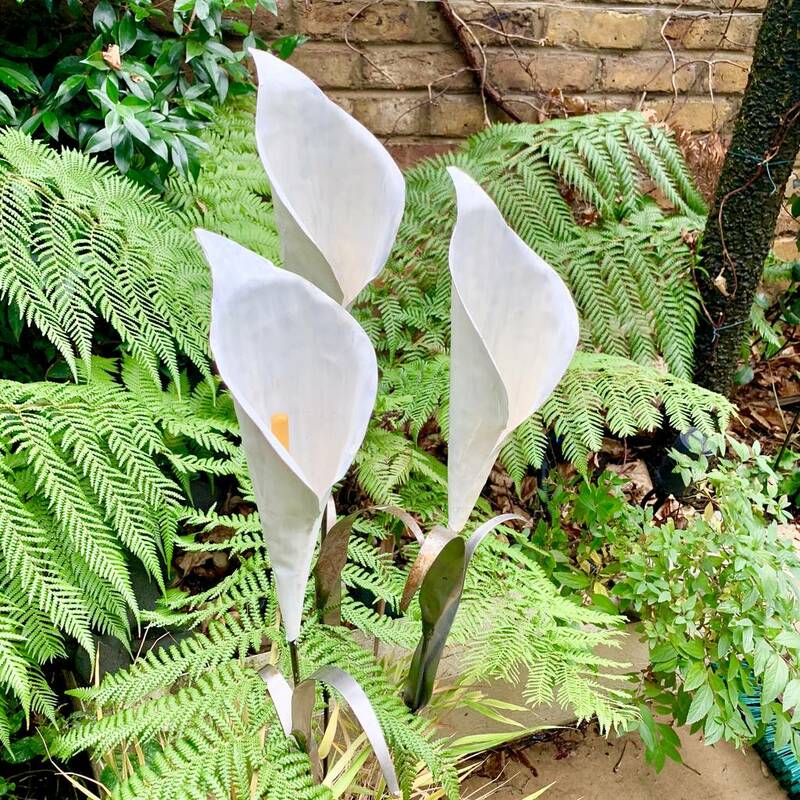 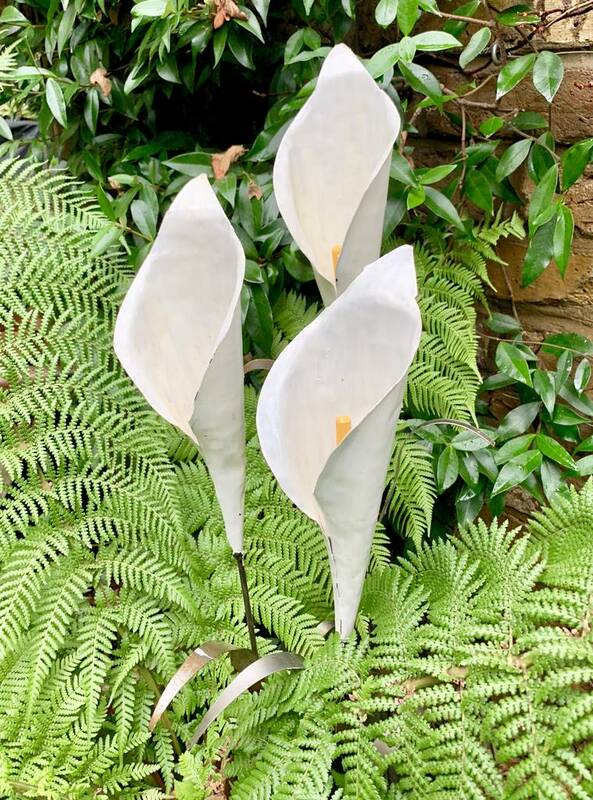 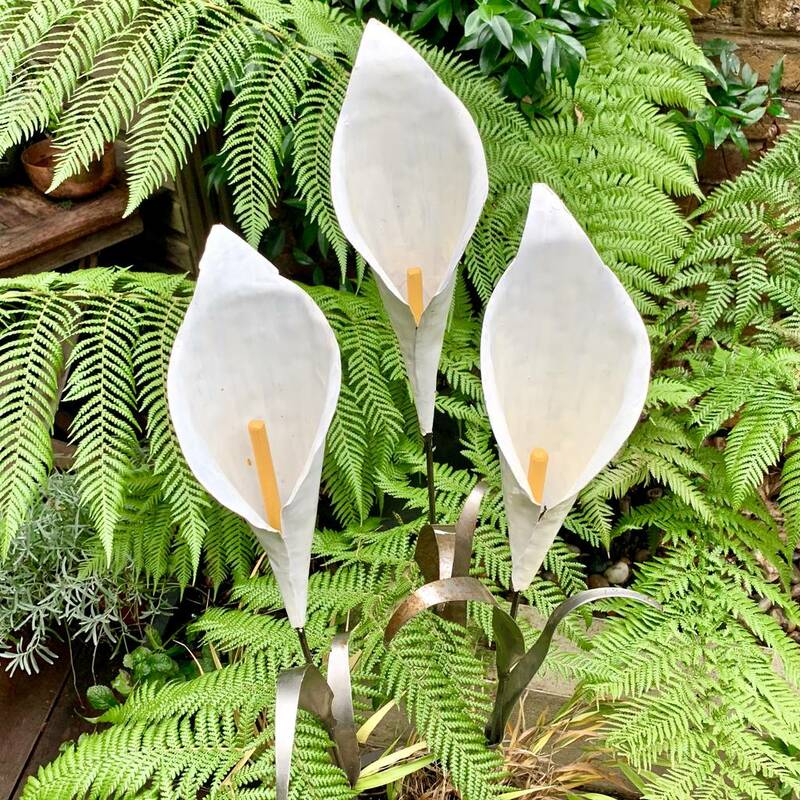 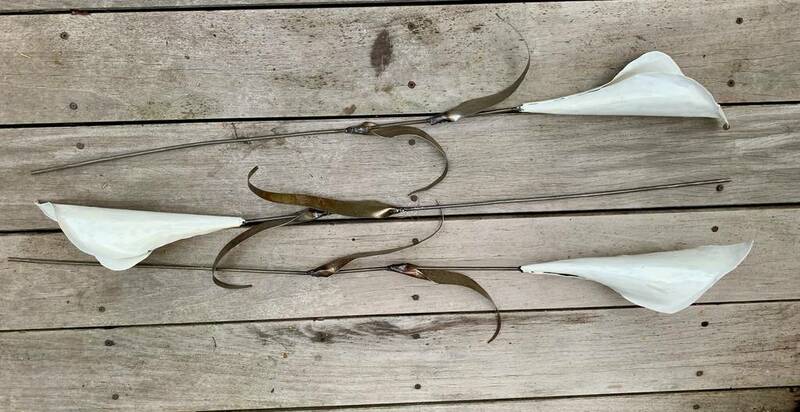 Simply beautiful set of 3 handmade Arum Lily garden sculptures. Handmade in Zimbabwe by a fairtrade company, these Lilies provide year round colour and interest in your garden and look particularly lovely when set against a water backdrop. 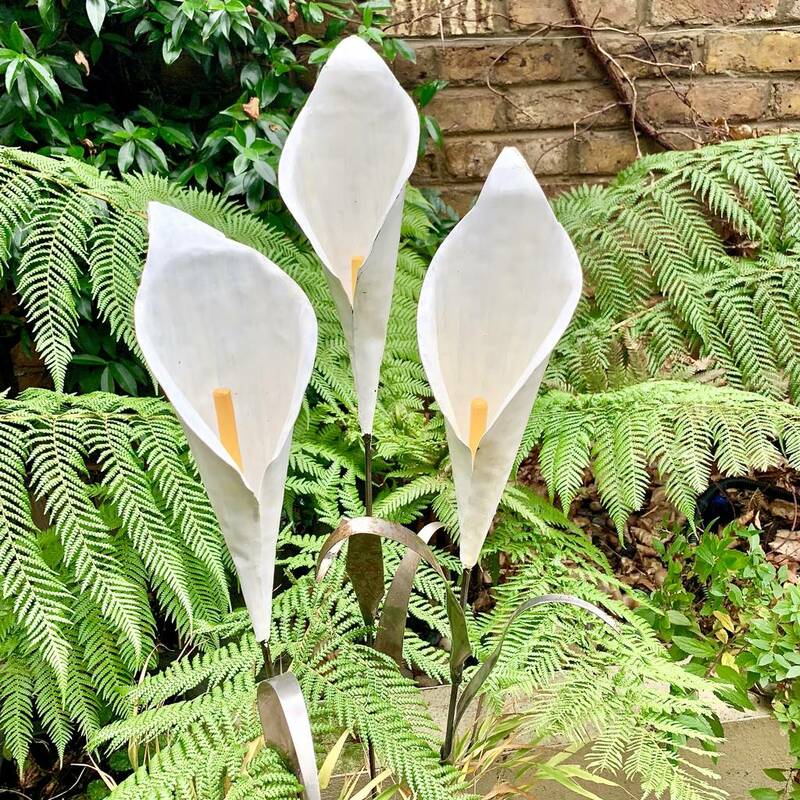 Each flower is made using recycled metals before being individually handpainted. 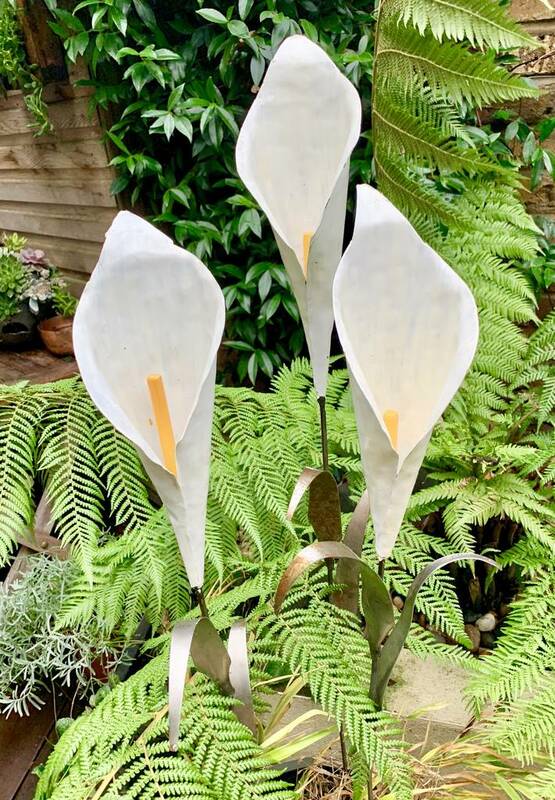 They are imperfect in their beauty and we hope that our customers will appreciate that these are not machine made pieces and will show imperfections and markings which we feel add to their appeal.